In some instances, we get a new phone, even though the phone that we use is in good working condition. But, sometimes, we opt for a new model phone just because our old phone is not properly holding battery. Regardless of the reason, if you are planning to make a move from your iPhone to the new OPPO, more than anything else, you will be looking for ways to transfer contacts from your old iPhone to the new one. For people with just a few contacts, they can make Bluetooth transfer one-by-one without any problem. But, if there is a huge list of contacts, it becomes important to find an application that will help with the easy and quick transfer of contacts as well as text messages, photos or music. For contacts transfer, you can sign in iCloud and export the contacts to a computer. Then move the contacts to your OPPO phone and finally import the list to Contacts app. This would take some time and it is only applicable to contacts. For other types of data transfer, you have to use third-party programs like Phone Transfer to help you out. With a single click, Phone Transfer will transfer all selected items from iPhone to OPPO. This is by far the fastest way for data copy between two smartphones. This application is fully compatible with Windows 10 and even you can install it on your Mac 10.12. 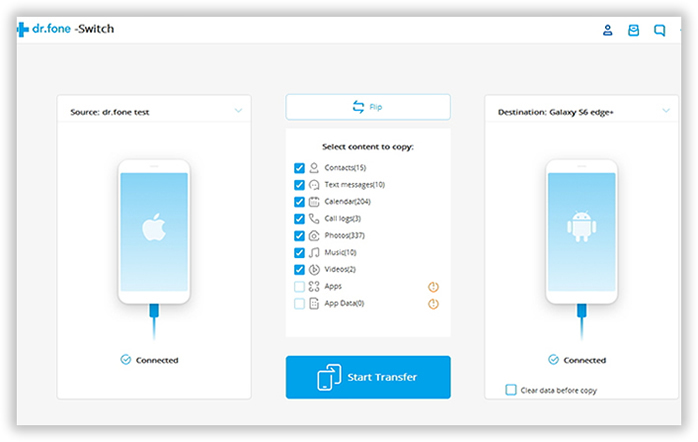 Now, if you have decided to use Phone Transfer, you might be thinking how to use this application for data transfer. Below are the phones and data types supported by Phone Transfer. Data Type: Contacts, Text Messages, Calendar, Call logs, Photos, Music and Video. Initially, download this program to your computer regardless of whether it is Windows or Mac based. Once the downloading is completed, follow the instructions to install it. Once the installation process is over, open the program on your computer. Connect your iPhone and OPPO Phone to your computer with the help of USB cables. Once the application has identified the phones, you will be taken to the main window. From the displayed options, click 'Switch'. On the application window, you will find the images of both your phones with a symbol under each phone image. At the center of the image, you will have the option called 'select content to copy'. Just choose the content that you wish to transfer. If you are only looking for transferring contacts. then choose contacts and then click on the 'Start Transfer' button. Note: If the position was wrong, simply click 'Flip' button to switch positions. 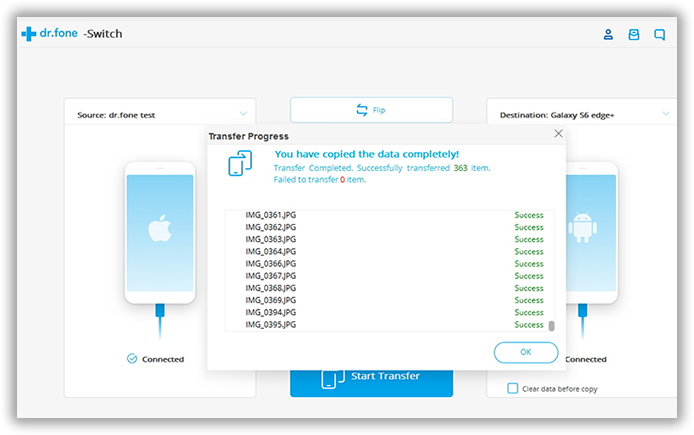 Once you have clicked the 'Start Transfer' button, you will find a window that shows the progress bar displaying state of the copying data. Please keep the phones well connected during the whole process or the transfer would be failed after disconnection. When the transfer is done, you can find the selected items are on the OPPO phone. 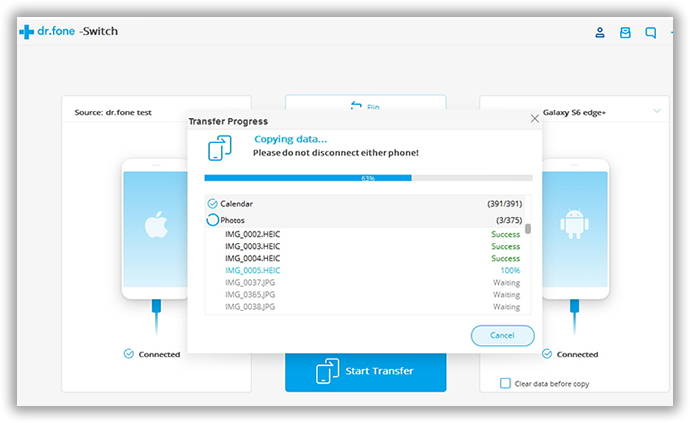 Phone Transfer is not just a data copying program. 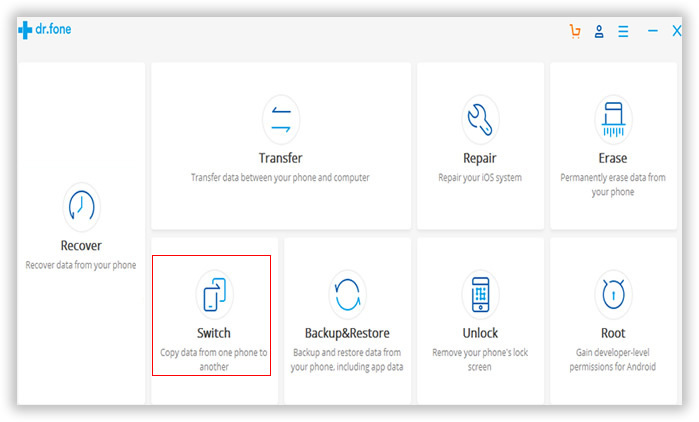 As you can see from the startup Window, this app is also able to backup phone data Android phone, restore data from various backups such as iCloud, iTunes or backup apps. If you are going to sell the old phone, you can use the data erasing feature to completely remove all personal data and settings on the phone.